Desitin Rapid Relief Creamy Zinc Oxide Diaper Rash Cream helps heal, soothe and prevent diaper rash. This cream contains contains zinc oxide 13% to help treat and prevent diaper rash. It also protects chaffed skin due to diaper rash and seal out wetness. 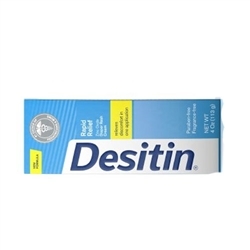 Desitin Rapid Relief Cream instantly forms a protective layer on your body’s skin to soothe and relive rash discomfort, providing relief from first use. This hypoallergenic, dermatologist-tested creamy formula goes on smoothly and wipes off easily, making Desitin Rapid Relief cream your everyday partner in protecting and treating diaper rash. 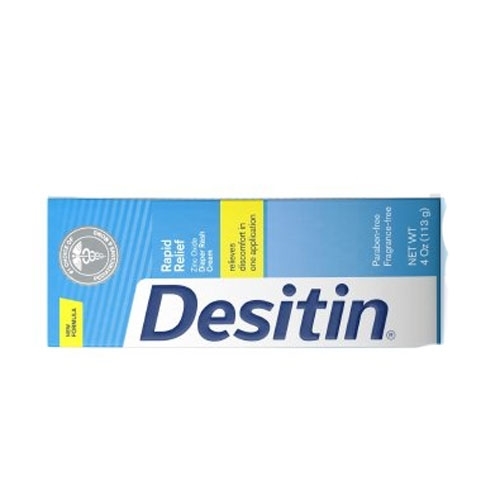 Desitin is still best diaper rash cream.